Racism in our Close Knit Community? – it takes balls to knit! Racism in our Close Knit Community? If you’re a knitter and you have even 1 outlet to Social Media, I’m sure you’ve heard of the current discussion relating to racism in the fibre arts community. I know racism is a strong word, and there’s also diversity and other more subtle words being used, but from experience, it has been seen that unless something is shockingly graphic, it tends to be ignored. So how did we come to this? I mean, aren’t knitters and the fibre arts community as a whole, the most inclusive group of people out there? I like to think so. Unfortunately, that may be navieté speaking. If you think about it though, it’s not surprising. Regardless of the group, it is still comprised by human beings. And human beings are flawed. So yes, there will be problems associated with being human beings (racism for one), in any group, including (if not especially), the fibre arts community. We are arguably the most diverse and inclusive group out there – with people from every demographic imaginable, from both sexes and almost any age range. In my opinion the question is not whether or not racism exists, but rather, how do we address it and minimize it to have the least possible effect in our beloved community. I’ll return to this in a minute. You’d think that being a black male in the knitting world, that I’d have lots of stories and this would be an easy topic for me to write about. In actuality however, it’s the exact opposite. Yes, I’m a black male in a predominantly white female industry, but believe it or not, I have yet to experience racism as a result. Has it been there? Perhaps, and I am not trying to make light of the struggles of anyone who has experienced it or had to deal with it directly. I, myself, however, am not one of those people. Have I experienced discrimination in the knitting community because of being a black male? Absolutely, even today, it still happens. Have I experienced racism in other areas of my life? Absolutely! And from the unlikeliest of sources as well. I am actually embarrassed to say however, that until a very good friend of mine (a black female) pointed me to an article by Julia Farewell-Clay, https://bit.ly/2SSwagZ, I was blissfully unaware of the plight of so many in our beloved Close Knit Community. Julia herself, is a “privileged white woman” (her words) in the industry. It was her enlightening article regarding the existence of racism (there’s that word again) in the knitting community that opened my eyes. I strongly suggest you read this article if you have not yet done so! I have been blessed and very fortunate for being so accepted into this community that I love. Almost everyone I meet becomes a friend, with knitting providing the instant connection. Quite often, after a little interaction, we find that we have so much more in common than our love of knitting. I have even been lucky enough to be welcomed by two of the most influential people in the industry today, and truly, I am humbled because to this day I don’t know why. I accept it with what modesty I can muster and appreciate their support. Yes, I’m talking about you two, Trisha and Ben – thank you. So you can imagine my embarrassment when I realize that it hasn’t been that way for everyone – and because of racism, no less! I have honestly been thinking about this since I discovered the article in November, and feel it is time to step up and do what little I can. If that sounds narcissistic, my apologies. I don’t think I can simply wave a magic wand and solve this problem, but I do know that there are some that listen to some of the things I say, and if I can inspire a few to raise their voices, maybe we can help this wave along and influence the decisions we all make every day. So what little can I do? While I have no direct experience of racism in the knitting community, I have far too much experience of it elsewhere in my life. It’s not a comfortable feeling. It’s actually in my top 3 of worst possible feelings to experience. If I every experienced it in a community I loved as much as this one, I simply don’t know how I would react. I would hope I would have the ability to deal with it with dignity, professionalism, and caution. And I suppose that is my answer to the question I posed above regarding how to address it and minimize it. It is important to call out the person or persons that are violating your right to be who you are, regardless of race. It is important however, to do so in a just manner. If it is at all possible, one on one discussions (not confrontations), should be sought out. If not, perhaps bringing light to the practices of that person or persons through the media. In this day and age of Social Media, we have to be extremely careful however, as things can go viral all too quickly, and sometimes unjustly and unnecessarily. Part of the discussion that I have heard, is that there is misrepresentation in the industry against certain people based on race. Again, while this has not been my experience in this industry, it has been in others. What can we do? I don’t have the answers, sorry. I do know awareness helps, and continuing perseverance, transparency, and accountability will aid in reducing the occurrences of these incidents. Is that enough? I don’t know. All we can do is try and see. In this particular instance however, I would like to do 2 things. The first is call to those that feel they are victims of racism in this particular area – exclusion based on race – to submit your bodies of work through all means necessary. If you feel a particular magazine or website is not showcasing your designs or article submissions based on race, submit them elsewhere and get others to do the same. If 1 person submits a design, article, or even retail booth for inclusion in a magazine, show, or other and gets denied, it is difficult to say this is based on race. If 50 do so however, and the representation is still predominantly privileged white women, then there is a basis for argument and subsequent discussion. The second thing I would like to do is caution against over reacting. Often, when something like this occurs, and there is enough of an uprising, the pendulum swings all the way the other way. We need to monitor the reactions on both sides. Many of you are familiar with Ravelry, and they have started a discussion thread on this board … https://bit.ly/2SXDQie . This will help serve as a place for moderated open discussion on this issue. I personally will try and educate myself on this issue and help through further education where I can. I will also use whatever influence I have to help garner fairness in this industry. I don’t want to downplay this issue by saying it is only the work of a minority of individuals, but I am sure that on a whole this is the most inclusive community I have ever belonged to. I truly hope that we can establish a protocol for dealing with occurrences of this so that they are the exception, and not the rule. In the end it is up to all of us to police this (and other) issues that threaten our community. I hope that we can all consider the consequences of our actions going forward. Thank you for your thoughtful observations and comments. I met you a few years ago at Stitches West and when I recognized you and asked if you were the man behind It Takes Balls To Knit, you were instantly engaged in our conversation. We talked for a few minutes and I walked away feeling like I had just spoken with someone whose blog I read and I was delighted to meet you. I wish you nothing but continued success. It was a pleasure and an honour to meet you a couple years back at KnitCity in Vancouver. 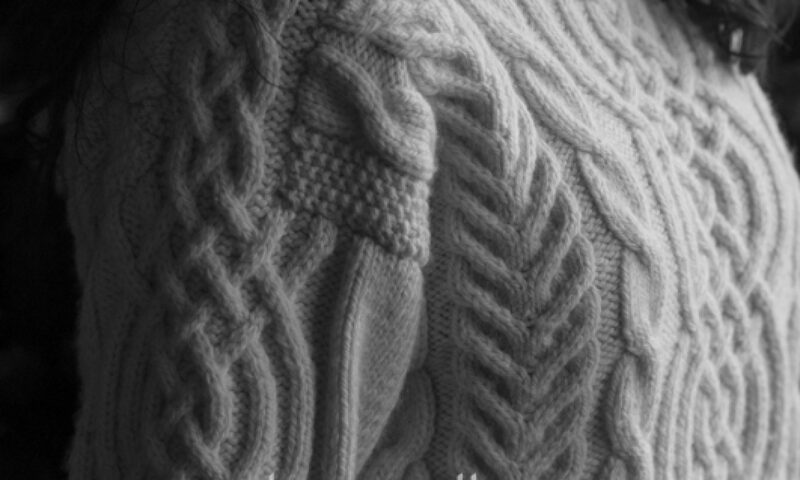 You were standing there knitting cables and I was immediately drawn, as cables fascinate me!! Your wise words and unique perspective on this discussion are very much appreciated. A much needed voice of reason as things get so volatile in our Close Knit Community. Thank you for your very sound advice. You’re so very welcome Megan! Thanks for the kind words. I truly hope we can come to a peaceful resolution to the current discourse soon! Thank you so much Denise! I’m so glad you took the time to introduce yourself! I love meeting readers and am inspired by them as much as they seem to be by me! Next PostNext All we need is hugzzz … and CABLES! !